With the thorough knowledge of the varied aspects of the market, we have been able to bring forth the clients a comprehensive assortment of Hydraulic Lifting Equipment. 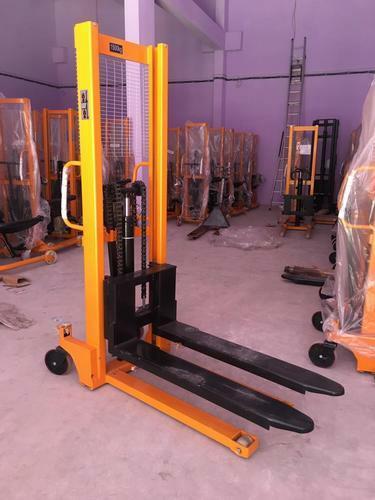 Under this range, we offer Hydraulic Car Lifts, Aerial Work Platforms, Lifting Tables, Movable Scissor Lift Tables and Die Loaders (Scissor-Trolley). Our products are thoroughly tested on various parameters to ensure their compliance with the international quality norms & standards. 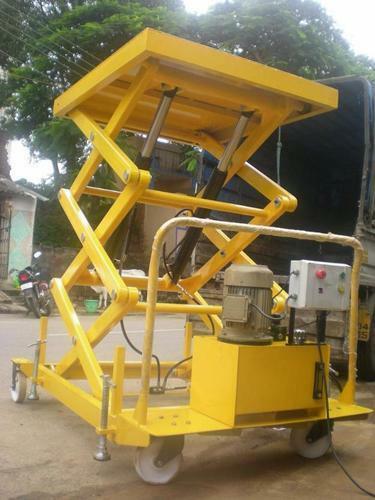 Battery Operated Scissor Lift offered are suitable for use in rough terrains. 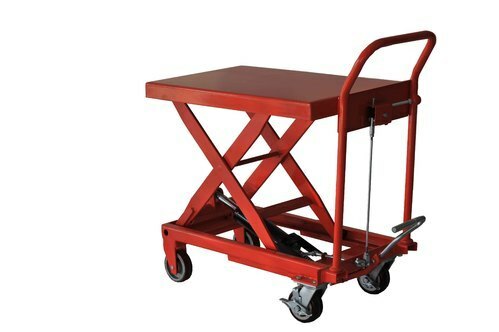 We gain an immense appreciation from the clients for offering superior quality Hydraulic Mounted Scissor Lift Table. These tables are manufactured in compliance with the international standards and norms using high-grade raw material and advanced machines. Moreover, the tables offered by us are known for their rugged construction, durability and superior performance. 2 Nos. Inclined mounted honed. Cylinder with hard-chrome plated piston which is actuated by 1 no. “dowty” make double acting hydraulic Pump. Base & top table structure will made from m. S. ‘c’ channel section. 2 nos. Scissors are made from heavy-duty m. S. Box section. Platform is covered by m. S. Sheet. 4 Nos. 300 x 75 mm. Size c. I. Rubber coated wheels with 2 nos. Bearings in each wheel. Front two wheels with swivel caster & rear two wheels are fixed mounted. 1 No. Inverted ‘t’ shaped table type M. S. Pipe handle for push- pull purpose. 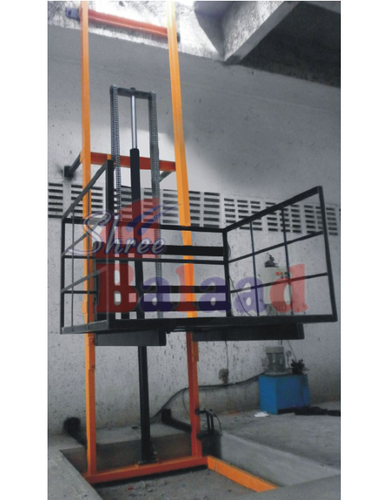 We are into manufacturing, supplying and exporting a comprehensive assortment of Lift Table Pit Mounted. These tables are manufactured using high grade raw material with the help of advanced tools and technology. Under the supervision of our professionals, we develop these tables so that the range is flawless and defect-free. Further, our customer's can avail this from us in various sizes and specifications as per their requirements. 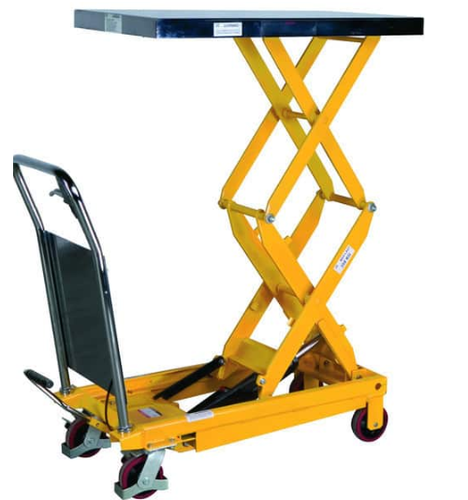 Owing to the dexterous professionals, we have been able to bring forth the clients a wide assortment of Hydraulic Lift Table. 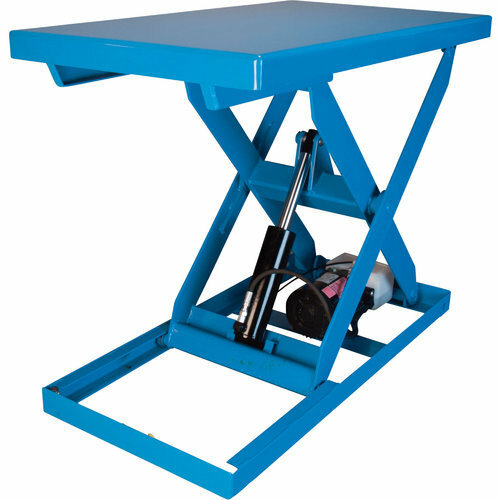 Manufactured using superior quality mild steel, the range is appreciated by the clients for low maintenance cost, safe usage, sturdy construction, reliability and smooth & easy operation. Owing to this, the product is extensively used in diverse operations involving hoisting and lifting. Our range can also be availed in customized specifications as per the requirements of the customers. 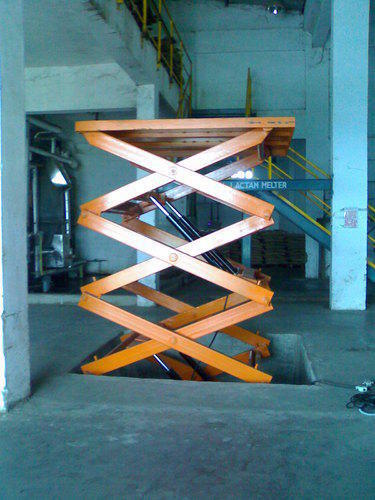 For meeting the diverse requirements of our clients, we are engaged in offering quality assured Hydraulic Scissor Lift Table. These tables are manufactured using high-grade raw material, which is sourced from the authentic vendors of the market. Moreover, we offer these tables in different specifications to fulfil the diverse requirements of our clients. 1500x1000 400 1800 2200 3 ton. With the help of our expert professionals, we have been able to offer superior quality Lifting Equipment. The equipment offered by us is manufactured using optimum quality raw material, which is sourced from the authentic vendors of the market. Our equipment is offered in different specifications to meet the variegated requirements of our clients. 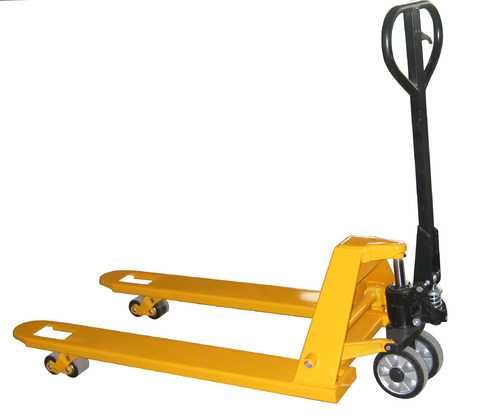 Owing to the sprawling infrastructure, we have been successful in providing the customers with a wide range of Hydraulic Hand Pallet Truck. Equipped with polyurethane tandem rollers, the range provides quieter and smoother rolling of the equipment over rough surfaces. Besides, the range is also incorporated with one-piece "c" section forks that provides greater strength to the equipment. 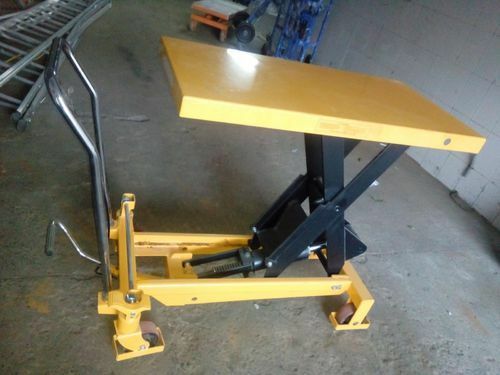 We are leading manufacturer and exporter of Hydraulic Scissor Lift Table.We have in store Hydraulic Scissor Lifting Table, that finds usage for different industrial purposes.For our customers, we can also make these tables in customized designs and operations. 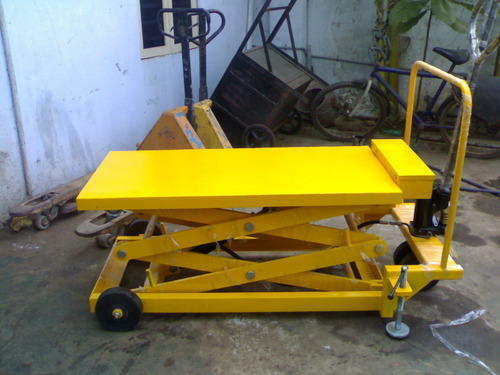 Looking for “Hydraulic Lifting Equipments”?